Looks like the usual. Lots of leather and wood. Vince- I love your blog, I really do and rarely take issue with your observations and comments...until today. You say about the next Equus interior "Looks like the usual. 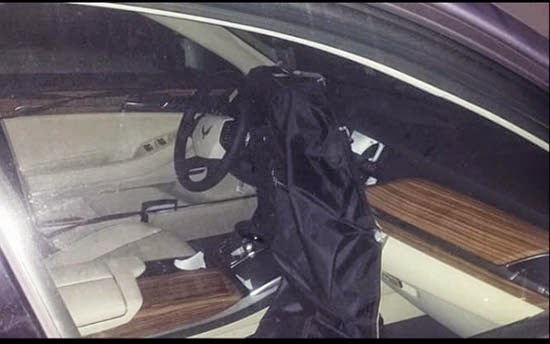 Lots of leather and wood"
Crushed Velour and Plastic Chrome? The usual? I disagree. Hyundai/Kia usually has an interior as cheap & tacky & plasticky as a Camry. This shows some promise. I can hardly wait to see a clear photo! To BOTH of the first two commenters. Slapping wood EVERYWHERE doesn't make a car luxurious. Is that black cloth part of an options package? To Anonymous March 4: tell that to Rolls Royce.